A licensed producer was suspended by Health Canada for the first time in four years, a sign that the government agency is keeping a closer eye on companies for potential violations ahead of this month’s launch of the nation’s recreational marijuana market. Health Canada notified Ontario-based Agrima Botanicals on Sept. 26 that it was suspending the company’s production and dealer licenses over infractions related to noncompliance with the Access to Cannabis for Medical Purposes Regulations (ACMPR) and the Narcotic Control Regulations. The infractions involve issues with recordkeeping and other compliance requirements, according to an Agrima news release. The company was given 10 days to respond to Health Canada’s action. 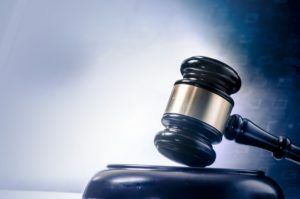 “Agrima has commenced the process of addressing the identified issues and has initiated discussions with Health Canada for the reinstatement of the licenses,” the company said in the release. The company did not immediately respond to Marijuana Business Daily’s requests for comment. “It’s a stark reminder to licensed producers and applicants that the cornerstone of the market is sustaining the high level of compliance with the expanding regulations of the Cannabis Act,” Hyde noted. In 2014, Health Canada suspended the licenses of three licensed producers, but it has not undertaken any such actions since. All three LPs were suspended for noncompliance with the ACMPR, Health Canada said. The producers corrected their noncompliance and were restored to active license status. There were 23 authorized licensed producers in 2014; that number now stands at 120. Agrima Botanicals is a subsidiary of Ascent Industries, which is traded on the Canadian Securities Exchange under the ticker symbol ASNT.